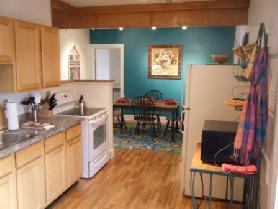 2 Bedroom/1 Bathroom Flat in Historic Downtown Colorado Springs. Great 2 bedroom flat with large master bedroom, hardwood floors on the main level, and a spacious eat in kitchen. There is a balcony off of the living room with awesome city and mountain views. This flat is located within walking distance of Colorado College, downtown eateries, night clubs and more. Great flat with lots of character for someone who enjoys urban downtown living and conveniences. To view more photos, maps, and information about this colorful flat, please click here. 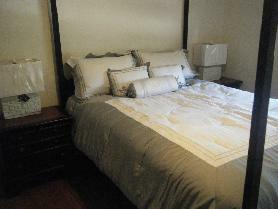 1 Bedroom/1 Bathroom Condo in the Broadmoor area. Enjoy the lovely surroundings and convenient location of the Broadmoor Villas. Spacious home, ample closet and storage space. Efficient kitchen and large living areas. Lovely outside pool, hot tub and grilling area right out side your door. Plenty of parking and things to do in the south western area of town. Located conveniently to Ft. Carson, The Broadmoor hotel, shopping, Zoo, walking trails and much more. 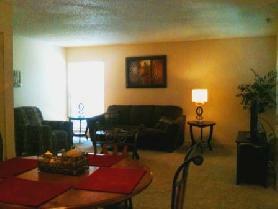 To view more photos, maps, and information about this fully furnished condo, please click here. 1 Bedroom/1 Bathroom Peakview Condo with Incredible Mountain Views in a brand new gated development. This lovely unit includes a walk out covered balcony, built in desk, and a washer/dryer in the unit. This property features AMAZING views of the majestic Rocky Mountains! Parking is available for an additional fee. Pets are accepted; however, there are certain restrictions that apply. This secure gated community features a fitness center and an outdoor pool perfect to beat the summer heat! Reserve it today as it will be booked before you know it! To view more photos, maps, and information about this property, please click here. 1.5 Bedroom/1 Bathroom Condo in Historic Downtown Colorado Springs. Great 1.5 bedroom flat with large office or guest room. Hardwood floors on main level and a spacious eat in kitchen. There is a private balcony off of the office with awesome city and mountain views. 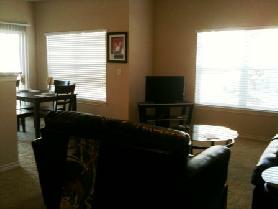 This flat is located with in walking distance of Colorado College, downtown eateries, night clubs and more. To view more photos, maps, and information about this charming flat, please click here. To view all of AvenueWest Colorado Springs fully furnished rentals, please visit us at http://ColoradoSprings.AvenueWest.com or give us a call directly at 719-442-4337.